Visit here often for: specialty trips, one-of-a-kind vacations, and great discounts. Also sign up for our newsletter to receive current specials, new trips and updates on Sheri Griffith River Expeditions and the Moab Area. To receive these discounted rates, mention "Web Specials" when you make your reservation. 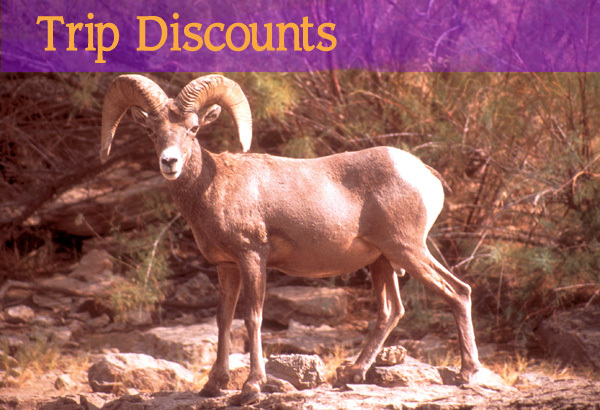 Web Specials apply only to regular rates and are not valid with any other specials. These are standby rates and restrictions may apply.